&bull;Our factory occupy a area of 6000 square meters, and our warehouse can store 20 containers goods at a time. &bull;Strict quality control in every process of production. Option 2 by high-speed train: It takes 3 hours from Guangzhou train station to Chaoshan train station. 2 YRS Xuzhou Herui Outdoor Products Co., Ltd.
1 YRS Xi'an RG Industry & Technology Co., Ltd.
1 YRS Yangzhou Safings Imp & Exp. Co., Ltd.
2 YRS Baoji Enda Metal Co., Ltd.
4 YRS Baoji Kedipu New Material Co., Ltd.
2 YRS Shenzhen Leaftour Travel Products Co., Ltd. 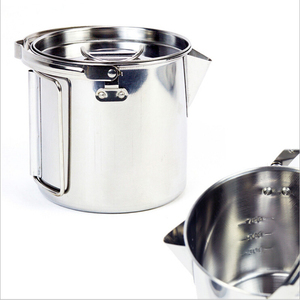 Hot selling camping cooking pot for wholesales Made of stainless steel 18/10, which ensures long life and superior performance. 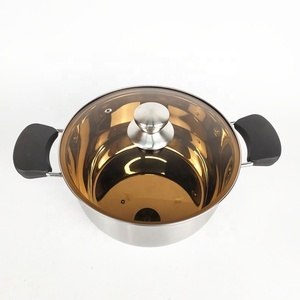 Stainless steel cookware is not oxidized, and easy to clean even abrasives. The composition of the bottom set of cookware items - capsule bottom, stainless steel, aluminum Features pans: uncoated Features handles cookware set: Composition handles cookware set - steel, gold plated Method of attachment - klepochnoe Features lid cookware set: frypan with cermic coating Set pans suitable for electric, glass ceramic, gas, induction hob. 2 YRS Jiangsu Shengpo New Material Technology Co., Ltd.
8 YRS Nanjing Chongfu Trading Co., Ltd.
We manufacture and supply a wide range of 550 paracord to customers across the world. : Q: What is your payment method9 A: We prefer to deposit and the rest 70% paid off before shipment . Q: Can I get some samples before placing order 9 A: Yeah, we can provide you some free samples for your reference. 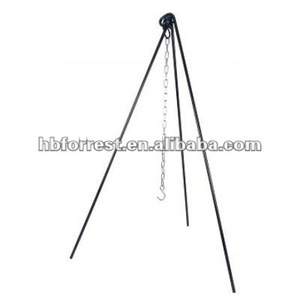 2 YRS Tianjin Zhongjing Metal Product Co., Ltd.
4 YRS Yiwu Ardi Outdoor Equipment Co., Ltd.
5. Portable steel handle, heat insulation performance is strong, not hot. 7.t also suitable for all kinds of kitchen and dining cabinet color. 3.Compatible with induction, gas, electric and ceramic glass cooktops. 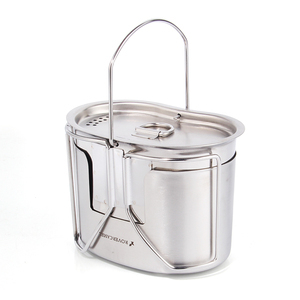 1 YRS Zhongshan Lianshan Outdoor Products Co., Ltd.
A: 2014 new stainless steel portable pots for camping/ Korean outdoor kitchenware Can be with client's logo Unique design,best delivery ,high quality guaranteed and competitive price stainless steel pot Can be customized according to customer's samples or requirements We could provide different OEM/ODM service/ Simple design with easy operation Extremely durable Capsule bottom enures quicker and even heat distribution The pot with moving handle is convenient to carry B: stainless steel portable pot Material S/S 201 Diameter 14-16-18cm Thickness 0.5mm Style Portable and Durable Box size 20*20*13.5cm Quantity 12 boxes/ctn Carton size 41*42*43cm Picture details: Packaging & Shipping We hope we can give you best service and You also can leave your kind advice to us! Thank you so much for your attention and c oncern . ** Let &rsquo; s talk more and find a way to cooperate. 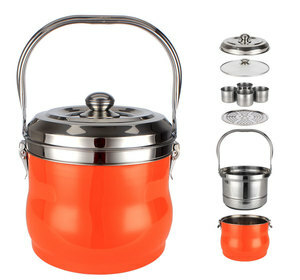 Alibaba.com offers 9,342 for camping pots products. About 20% of these are cookware sets, 18% are other camping & hiking products, and 12% are pans. 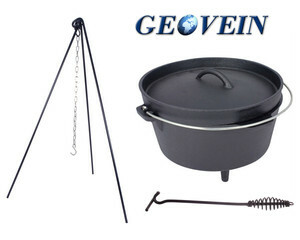 A wide variety of for camping pots options are available to you, such as fda, ce / eu, and lfgb. 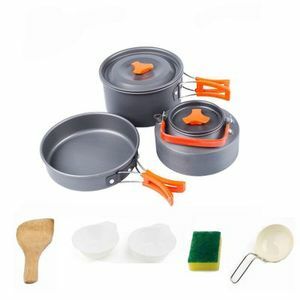 You can also choose from cookware sets, soup & stock pots, and dutch ovens. As well as from eco-friendly, stocked. And whether for camping pots is metal, or stainless steel. There are 9,342 for camping pots suppliers, mainly located in Asia. The top supplying country is China (Mainland), which supply 100% of for camping pots respectively. 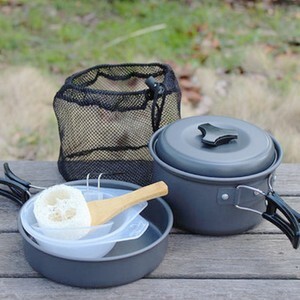 For camping pots products are most popular in North America, Western Europe, and Eastern Europe. You can ensure product safety by selecting from certified suppliers, including 1,567 with ISO9001, 702 with BSCI, and 697 with Other certification.